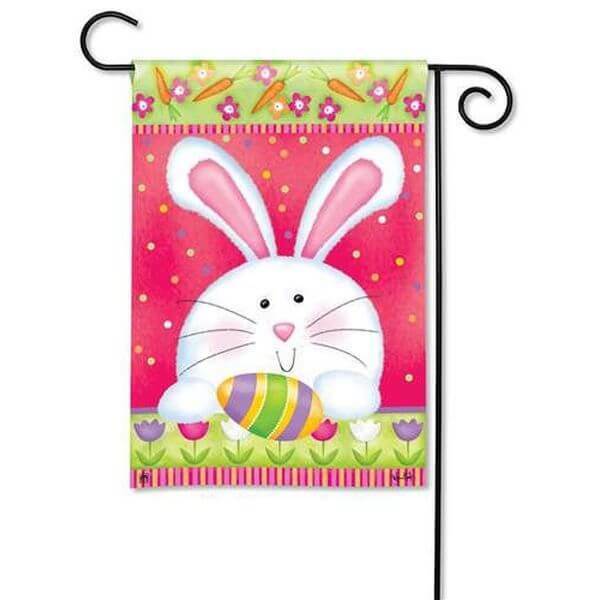 Make your holiday decorations a little cheeky with the Toland ‘Bunny Tail’ Easter Garden Flag. Manufactured in the USA, the colorful multi-layered polyester garden flag is printed using a heat sublimation process that seals the graphics in place and makes the imagery resistant to fading in the sun. 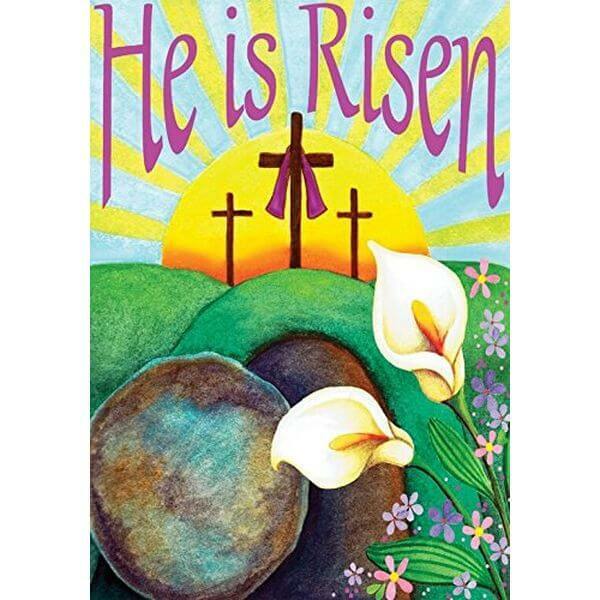 Display a beautiful reminder of the meaning of the Easter season with the ‘He is Risen’ Easter Garden Flag. Printed on one side, the image is vibrant and includes traditional religious symbols of the holiday. The flag is 12.5 inches by 18 inches in size and crafted out of durable polyester. 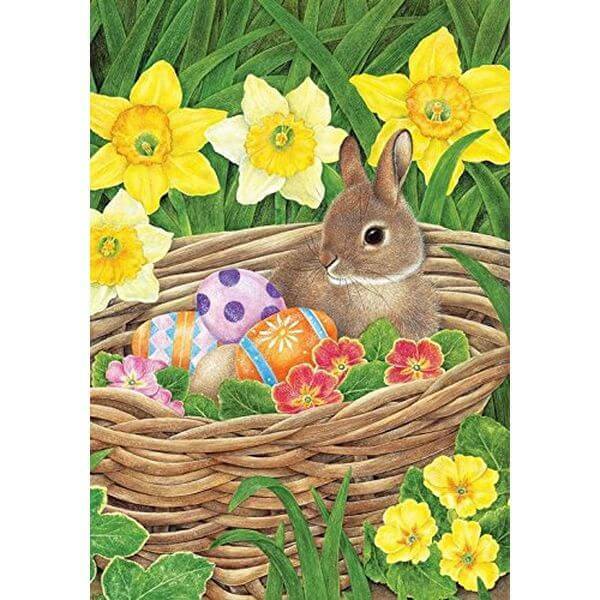 Featuring the charming artwork of Victoria Hutto, the Hippity Hop Easter Garden Flag will bring some spring color to your garden. The adorable bunny design is printed on the fade-resistant solar silk fabric that will remain vibrant year after year. The flag measures 12.5 inches by 18 inches in size. 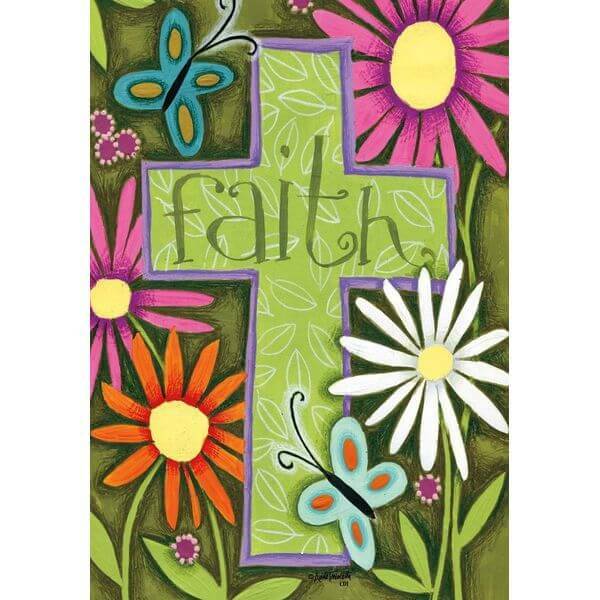 Featuring a cross and spring flower design, the Cross ‘Faith’ Garden Flag is a lovely garden flag to display during the Easter season and beyond. The flag is printed on heavy-duty 300-denier fabric, making it resistant to wear and tear. UV-resistant inks are used to ensure that the graphic remains bright even when exposed to direct sunlight. 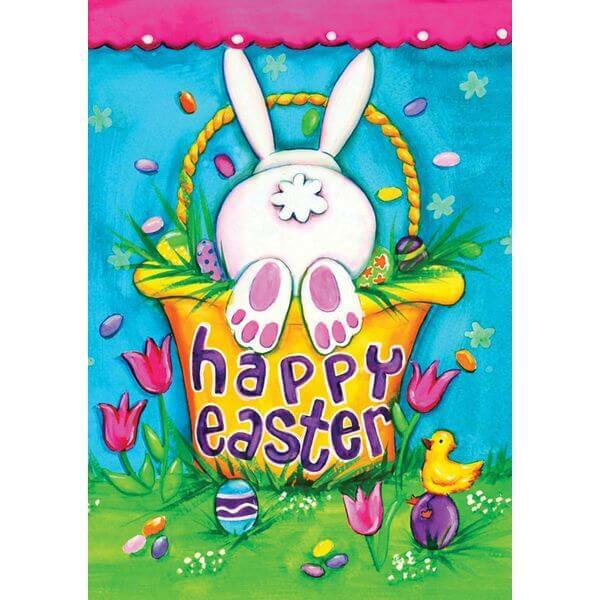 Every bunny in the neighborhood will notice the Easter Egg Basket Garden Flag! This adorable garden flag is printed on one side and shows a baby bunny in a nest with eggs and flowers. At 12.5 inches by 18 inches in size, it will fit most standard flag holders. 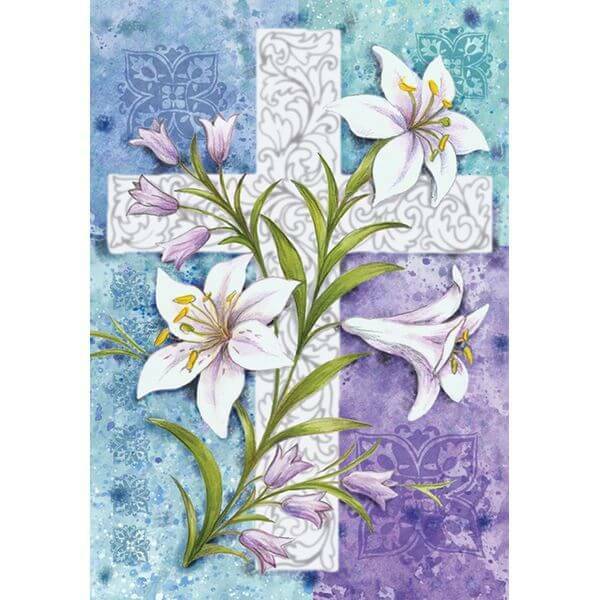 A beautiful symbol of religious faith to display during the Easter season, the Toland ‘Easter Lilies’ Garden Flag is made to stand the test of time, so you can display it every year. The machine-washable polyester flag is extra thick for durability and heat sublimated to produce a fade-resistant image.